At the ongoing WPT Global Teams Event in Korea, Somuchpoker had the chance to meet Michael Soyza – the Malaysian pro who currently ranks #1 on GPI Asia. He shared with us about how he decided to switch to being a full-time tournament player, his future goals as well as the poker situation in Malaysia. 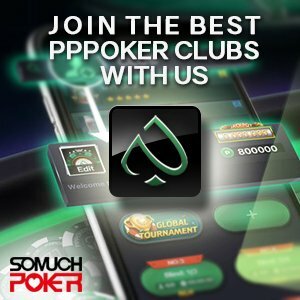 Somuchpoker: You’ve been having a very impressive year at the poker table so far, with one APPT Main Event victory that brought you a Platinum Pass, a career best score in Vegas worth more than half a million for your success in the Mid States Poker Tour, along with two High Roller victories. How do you explain this incredible breakthrough? Michael Soyza: I’ve been running pretty hot since 2017 when I started playing poker full time. Perhaps part of the reason is because I’ve gained more experience especially in the later tournament stages, and my strategies are now working better. Experience does play a big part especially when it comes to exploiting your opponents, identifying tendencies, etc. I guess I’ve gotten pretty good at that (laugh). I have also been working a lot on the fundamentals of the game as well. SMP: So you only started playing live tournaments full time about two years ago, is that correct? What pushed you to make this transition? M.S: That’s right. In the past, I used to work in an investment bank for almost 3 years, to see how well it would go and how much money I would be able to make. I was doing quite well and was one of the top performers. However the Malaysian currency was weak, so even though that was one of the best jobs for my age at that time, I still didn’t make as much money as I would have with poker. Besides that, the freedom is a great bonus. Having to ask your boss every time you want to take a holiday is quite annoying. I realized an office job is not how I want to spend the rest of my life with. That’s when I decided to shift to poker completely, to try and see how well it would go. If it didn’t work out I could still go back to work or find something else to do. I started playing poker in university, mainly cash games. I only began playing more tournaments after I started working. SMP: You are now GPI #1 ranked player in Asia. What’s your next goal? M.S: It’s a pretty cool title I guess, though I never really expected it, I just tried to play well and make money. It doesn’t give you anything and is not that important, however it’s still a way to validate yourself, to know you’re doing well. For me, deciding to switch to poker as a full time career was a risk, so it felt good to know it worked out fine and hopefully I won’t have to go back to working in an office (laugh). My next goal is perhaps to aim for a higher World GPI Ranking. The guys in the Top 10 all play Super High Roller events while I usually play mid-stake tournaments, but I play a very big volume. *Michael Soyza is currently #14 on World GPI Rankings. SMP: We have seen a few Malaysian players in the Triton Super High Roller events and Cash games. Is it something you are interested in as well? M.S: Yes I am interested, however to play those games your bankroll has to be huge, and the amount of action you have to sell is ridiculous as well. So realistically speaking, it might make more sense to play smaller and sell less action. But you might still see me there soon. All these Malaysians are guys I used to play with back in the day when I first started, about 8 years ago. We are pretty good friends. 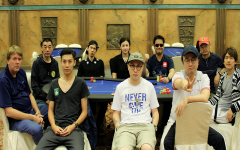 SMP: A lot of Asian players perform well in regional events within the $1K buy-in range, but only a few of them have made it to the next level and reached the international stage with buy-ins of $10k+ like you have. How do you explain that? Is the gap that big? M.S: In poker there’s a very diverse mix from region to region. Obviously in Asia the game is softer, while in Europe every standard is much higher. So the average regular in Europe would be much better than the average regular in Asia, that’s why when players in Asia go to Europe they might find it very tough as there’s a big skill gap. And of course in terms of buy-in, between a $1K and a $10K game the skill gap is also huge. In the $10K game there are way less mistakes, less players, and more good players than bad players. In my personal view, the US is a very soft market, Asia as well, while Europe is very tough as the market there is already very mature with a lot of available resources. Poker there is also treated more like a sport than a hobby compared to other regions. If you sit down in a 10K, five of the players at the table are guys who play in a Super High Roller and they are likely some of the best in the world. Even in a 2K, for example the EPT Barcelona, you might still see a few Super High Roller guys at your table as well. So in short, the field in Europe is definitely tougher and the average regular is better than anywhere else I’ve seen. Meanwhile in the US, poker is considered a national hobby, it’s not looked upon as gambling and people enjoy it so much. That’s why they have this whole “closed American economy” per se, whereby a pro in America can just stay there and travel the circuit because there are already so many events and games. Whereas for me for example, there are basically no games in Malaysia so I’m forced to travel around the world to play different fields, and because of that you also play against better players who also travel overseas. If you always stay in America and play against the same people you are familiar with, it might be harder to improve because your competition might not be as tough as if you were to travel outside the region. SMP: You are now here in Korea representing Team Malaysia. Can you tell us more about the poker community in your country? M.S: In Malaysia poker is a grey area so there is no tournaments organized in the country. So our community is pretty small. Most people who play often know each other. Besides, to travel and play isn’t that easy for a lot of people, not like in Japan or some other countries. So realistically there are only about 10 of us who frequent the poker circuit to play live events. But we are a very close group. We help each other a lot, and we always have a good time whenever we go out together. SMP: As a poker media site we are usually more inclined towards covering live tournament results, but you also have a reputation as a very good cash game player. Can you tell us about your biggest cash game achievements? M.S: When I first started playing poker, I started with micro-stakes like US$0.03/US$0.07. Moving up from that level to where I am today is perhaps the biggest achievement for me. While I was working, I was staked by a good friend. Now I mostly play with my own bankroll, although I still sell action for the bigger events to my friends. I really think that bankroll management is one the most important skills at poker. However at the moment, I don’t really play cash games much anymore because there’s just no time. In tournaments after you play a whole day from 12pm to 12am you don’t have energy to play anything else, you need to rest for the next day. And then after 11 days when you’re done you just want to rest for a whole week or two before the next event. Many people think it’s hard to make a living out of playing tournaments only, because of expenses, etc., but actually if you play high enough and if you’re good enough the variance is not that big. Hopefully I’m good enough, *touch wood* (laugh). Who knows maybe I’m just running hot this year and next year it might be different, but anyway I’m going to try my best. SMP: Thank you for your time Michael and we wish you good luck!